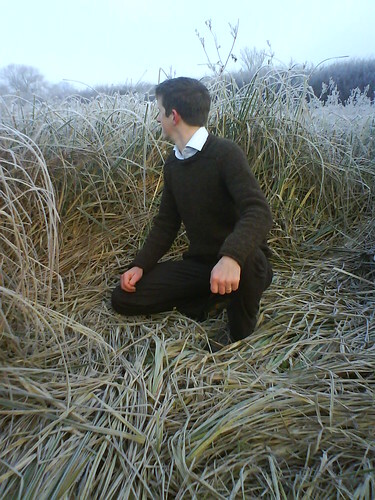 And so it’s only in the last week that we went out for a walk in enough daylight to pretend we were shooting for Rowan. or something. Basically I’m very proud of it, a very happy with it. I might even knit another one in a different colour, even. It is incredibly satisfying, watching the back stitches get gobbled up by the yoke. Incredibly satisfying. You can tell that a) this jumper has yet to be blocked, and b) it has been worn ALOT given that is it starting to pill just a little bit on the front. This doesn’t worry me at all. ← Happy New Year and Back to the Dye Vat! pretend we were shooting for Rowan. HAHAHAHA That was exactly my first thought on seeing the pics, before I had read the text! i think it’s a law, that you have to get your Rowan on. as it were. I love it! I think my partner would love one of these too.. it’s gorgeous. It was really easy to knit, and knitting without tears isn’t an expensive book, if you don’t have it already. i would recommend EVERYTHING about this project to be honest. Look at you clever clogses! The photoshoot looks distinctly chilly (but fab). Loverly. 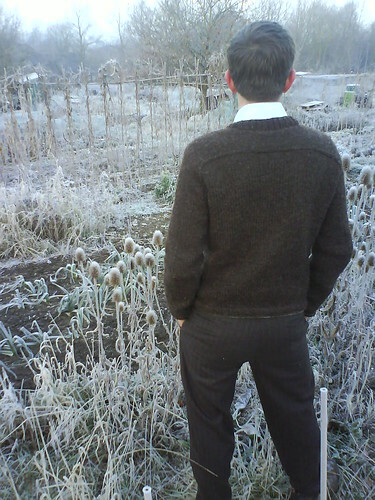 it was a proper frosty morning! And the jumper is, of course, stunning. Everything about this jumper is amazing; the appropriateness of the yarn and its colour, the shaping (which is excellent!) and the elegant yoke. I am superbly impressed! thanks for the mensknitwear links. very interesting. Wow! 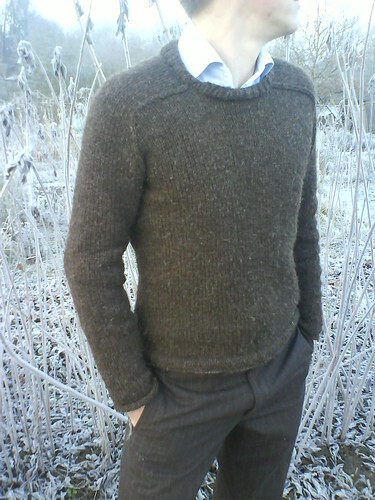 What a superb man-sweater – it looks fantastic in that lovely yarn.